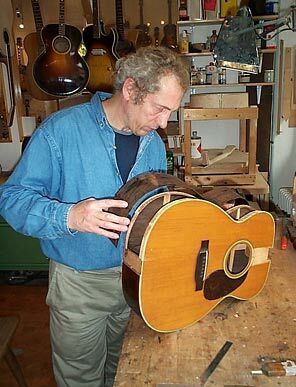 Besides building new guitars, restoration and repair work of vintage guitars is the second focus of the work of Henkes & Blazer. 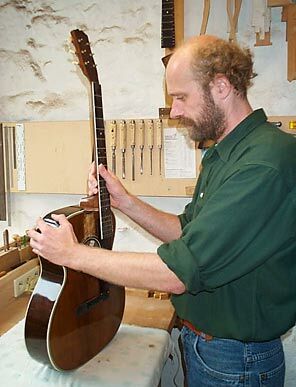 After many years of working with vintage guitars of all the major manufacturers, we have developed a deep knowledge and lots of experience in all authentic traditional woodworking and repairing techniques. As a result, we have an excellent reputation and have many highly satisfied customers both in Europe and in the USA. Also highly valuable instruments come in for extensive and often complicated repairs. We use authentic restoration techniques, always keeping a close eye on the preserving of the properties, the value and the originality of these instruments. Repair work can be offered only on a limited base and for vintage guitars – so please inquire for availability.